01.29.13 Many chess fans have gone years without making any significant progress, even after studying many chess materials or hiring personal teachers. Many players get stuck below or around the 2100 rating and, little by little, their initial joy for the game diminishes. 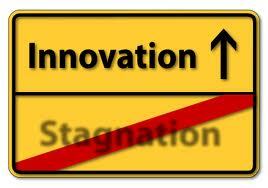 If you are in this situation, learn the most important reasons for stagnation. We all reach plateaus at various points in our chess development. Here are some suggestions for breaking through to the next level. Please visit the website of the International Chess School for more chess improvement tips. Many chess fans have gone years without making any significant progress, even after studying many chess materials or hiring personal teachers. Many players get stuck below or around the 2100 rating and, little by little, their initial joy for the game diminishes. Playing chess - practice - is very important for progress. When you play chess (over the board, at tournaments), you put into practice what you have learned, you use your brain to think chess, you are in the testing environment, you test your accumulated knowledge and skill against another person. However, too much play and too little study holds you back. You can repeat the same mistakes over and over. You will tend to follow your own old patterns and not have time to develop a different, correct thinking process, and to learn proper strategy and new ideas. In this case, you should take a long break from playing and concentrate only on study for several months. You will make a significant improvement. It's so simple: an incomplete study of theory leaves you with weaknesses and a chain is only as strong as its weakest link. There is no shortcut; a necessary task for serious improvement is to have COMPLETE knowledge of chess theory, of chess strategy. Then, you will know what TO DO in any situation on the chess board. It makes no sense to re-invent the wheel when there are full blueprints available. The idea is to optimize your time for study. Too much information on the same subject becomes superfluous. Too many exercises of the same kind will only hold you back. Too much theory without enough exercises or too many exercises without essential theory is also counterproductive. Too much of anything may hold back your creativity and diminish your joy for the game. You do not need Quantity but Quality! Save yourself time and study and train only with the best materials, not with ALL materials. Disorganized study habits are another reason for stagnation for even the most serious learners. Many lose a lot of time trying different methods, studying different materials - even if the individual lesson are good, the results of a piecemeal approach can be disappointing. Acquiring the right blend of chess knowledge is a delicate balance and therefore you should make a good plan from the start or follow a professional program of study and training. What exactly a chess lesson teaches you makes a very big difference. Here, we have to give a concrete example. Let's say you have two different lessons about the isolated pawn. The first lesson tells you that the isolated pawn is weak in the endgame and then fills the space with "illustrative" games. The second lesson systematizes the possible endgames into 10 possible types, tells you exactly which is a draw and which is winning, tells you how to defend and how to attack for each case, tells you exactly what to do in every situation. Obviously the difference is enormous; the first lesson leaves you in semi-obscurity and you are left with the impression that the endgames are lost for the side with the isolated pawn, which is far from true. The second lesson really and concretely teaches you that subject so you will know what you have to do in every situation and what endgames to aim for, so that you can get the maximum from the position, win or draw. As a conclusion: the substance of the lessons, that is, their concreteness, what and how they teach, and how structured they are, all make a big difference. It might be enjoyable to browse through books, listen to videos, click through chess programs or talk in chess forums. But if you want to obtain the best possible results, you need to learn ACTIVELY. What is Active Learning? When you study a chess lesson, you have to WORK on it, you have to ask yourself questions all the time; when you study an annotated game, you should stop at almost every move to try to understand them or even find better moves. You should also try to guess the moves before looking at them. This way you will take time to digest every position, every piece of information so you WILL enjoy your study much more. And as we said before, you need Quality and not Quantity. 2. positional exercises (strategic problems). Everybody knows what the tactical exercises are - solving tactical exercises helps you develop your tactical force, but this is only a part of a complete training program. Positional exercises are less recognized for their importance. However, these are even more important than the first! Positional exercises may be chosen from any stage of the game, but are most often from the middlegame. They are usually normal positions, where there is no tactical blow, trick, or anything to make you say "wow". This is "normal" chess, the 95% of the game where we employ strategy. That is, we use logical thinking, create plans, stop opponent's plans, re-arrange our pieces, provoke weaknesses, prepare an attack, defend etc...etc... - this is chess strategy. And theory is not enough. We must train for chess strategy and solve POSITIONAL EXERCISES - this will train us for the game. Complete training means 50% theory and 50% individual work = exercise! All good chess schools test their students all the time. After the lesson, the student has to solve strategic positions, find the plans/ideas, tell what they have TO DO in that position, and eventually find the first moves. This is what we do in our core chess course, the Grandmaster Course, which is structured as 50% theory and 50% positional exercises. In the last 4 months of the course, we give a wide range of instructive, well-selected positions. Then we offer extensive analysis of the position and explain how the solution could be found. Remember: positional exercises are completely different than tactical exercises and by no means less important. Chess is a beautiful old game, played on the board. If you want to be good at chess, you must train using the real board and not the computer! We trust that this sounds logical enough to you. It is indeed convenient to use the computer, you do not have to re-arrange the pieces all the time and it is ...modern. But when you prepare for chess, the technology, colors, design and so on do not help that much. They may even harm your progress. Moreover, when you do play chess over the board, you will come to realize that the positions look different than on the 2 dimensions of your screen. All world champions, top-grandmasters and strong players have studied chess at the board. Only after reaching mastery in chess, the use of computers is indeed helpful in the opening preparation for strong competitions. Using chess software, chess engines, watching videos, could have benefits if it is done moderately, but all these bring little progress. Even at our online chess school, we offer all the lessons in PDF format so that they can be conveniently printed out and studied at the board. The continuous pursuit of rating is counterproductive - the beauty of chess will be left behind in the desire for a certain rating or category. The rating is less important and may not always reflect the real value of a player. Maybe he only needs to play more tournaments or maybe he needs a better opening which suits his style of play. A player who wants to improve should concentrate only on understanding chess better and more deeply. At those moments when he wants to study a good lesson or an instructive game, to solve different positions, to understand strategic subtleties and to find excellent moves ...at THAT moment there is progress... and the rating will surely increase sooner or later. No, chess is NOT hard. Thinking that "chess is hard" is however a reason for stagnation. Chess is complex, indeed, but it is this complexity that makes it beautiful. You have to think positively. Look at the beauty of this game, at the pleasure such a nice hobby brings, to the fact that it develops our thinking. Appreciate that we have a great intellectual game that helps our brain, and is a nice social game, a game where we use our ideas against other humans' ideas. And do not forget: the more you understand it, the more enjoyable it is. How about the high cost of playing in (decent) tournaments? Transportation, hotel, entry fee, food adds up to hundreds of dollars each time. Plus, chess isn't really a significant part of American culture the way it is in some other countries. These things can be discouraging depending on where you live in the U.S.